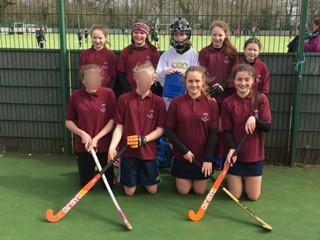 Congratulations to the Year 7 girls Bude hockey team, who played spectacularly well, winning most of their matches, to come second in the recent Cornwall County competition, last week. As a result, they have been selected to represent Cornwall in the South West Tournament in Clifton, Bristol . All the girls are from HCC hockey team, except two from Budehaven. Good luck to all the girls in the South West Tournament and in the Cornwall selection in the summer term.